Labour took a drubbing in the local polls, but the Conservatives’ Scottish surge is the real news. Labour took a drubbing in last week’s local government elections all around the country, as this column predicted it would. But, it was the ending of Ukip as a political force to be reckoned with that has perhaps the greatest implications for the coming General Election, and is the most welcome relief for those who deeply deplore the way that party infected the body of British politics with the virus of xenophobia. Ukip lost nearly 150 seats, every single one in fact where there was a contested election for a sitting Ukip councillor, and they gained only one. Seldom in our political history has a political party gone so rapidly from being a real mass movement for political change, to one of almost complete irrelevance. Even Ukip’s one-time biggest donor, Arron Banks, has gone on record as saying the party is “finished as an electoral force” and needs “a strategic bullet in the back of the head”. The British electorate, realising that the principle aim of Ukip, securing a commitment from Government to deliver the exit of the United Kingdom from the European Union, has been achieved, swung their support massively behind the Conservatives, the Party that will now deliver the reality of Brexit through the tough negotiations currently under way. That shift from Ukip delivered a massive boost to the Conservatives, who gained a staggering 563 council seats, taking control of 11 councils that they did not previously control, with Labour losing control of 7. The Liberal Democrats went from bad to worse, despite their hopes and propaganda to the contrary. The electorate simply did not warm to the Lib Dems’ “second referendum” twaddle. The nation voted for Brexit, and many of those who voted Remain simply now want Theresa May to get on with the job and deliver the best deal possible, or no deal if that is the best option. But, within those major national swings, there are even more interesting results to be found. Scotland, once Labour’s heartland and the Parliamentary seat of many previous Labour Cabinet Members, delivered a remarkable change. Labour, again as this column predicted, lost 133 council seats and, almost the stuff of political nightmares, Labour lost control of Glasgow City Council, an authority it has controlled for 40 years. In the political equivalent of tectonic plates shifting, the Conservatives gained support in almost every single Scottish mainland ward, even in the most impoverished areas like Paisley. The Conservatives are now also the largest single political group in several key areas that will shape the outcome of the coming General Election, including Perth and Kinross, Aberdeenshire, Perth and Kinross, the Scottish Borders, and Dumfries and Galloway. The best spin that Labour’s Scottish Leader, Kezia Dugdale, could put on these truly incredible results was that they were “not as devastating” as some had predicted. Well, that should give Labour campaigners the boost they need! And that is a key point to remember. It is not just the electorate that is influenced by results of this kind, pointing to which way the vote might go in the coming General Election, it is the local campaigners, too. It isn’t just that Labour lost nearly 400 serving councillors, it is that in many cases those councillors, their partners, their close friends, their grassroots supporters, will point the finger of blame at the party nationally, and, quite rightly, at its unelectable Leader, Jeremy Corbyn, and assign to them the blame for the defeat. Such defeated and demoralised ground troops are hardly likely to be hugely enthusiastic for the next few weeks in delivering leaflets, knocking on doors, and promoting the strengths of their Leader, when palpably Jeremy Corbyn is unfit to be allowed through the doors of 10 Downing Street and is leading the Labour Party to electoral disaster. In short, the defeat in the local Government elections will sow dissent, division and demoralisation within Labour ranks and potentially magnify this electoral disaster for Labour in the coming General Election. This, as this column has previously acknowledged, will see removed from the House of Commons a number of Labour MPs who have served with distinction and integrity, and who could have been the future saviours of that once noble, but now dysfunctional party. 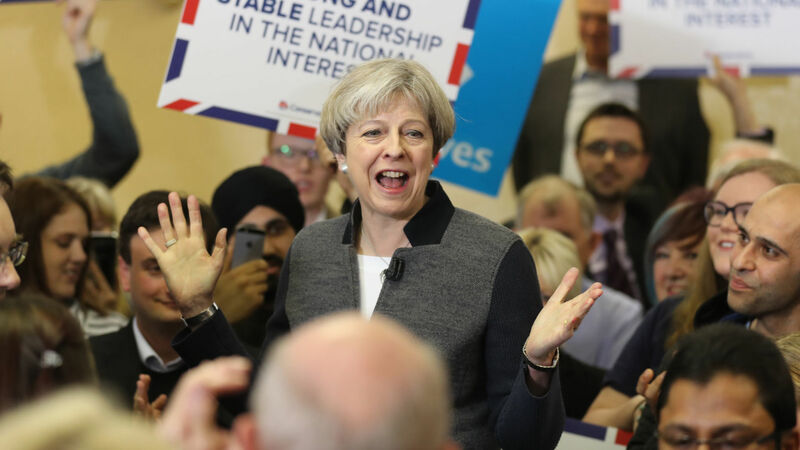 Labour, in Wales, didn’t suffer quite as badly as it did in England and Scotland, but the Conservatives gained overall control of Monmouth and, in some ways more worrying for Welsh Labour, Plaid Cymru came back from the political dead, gaining 33 councillors. And in the election that really mattered, over on the Isle of Wight, in Newport West Ward, your author, Councillor Marmite, as he is known locally for being loved by some voters and loathed by others, saw both his vote and his majority increase; with the Conservatives taking back overall control of the Isle of Wight Council with a substantial majority. The dream of “independent” control, or the nightmare as most Island residents found it, is over for at least the next four years, hopefully permanently. None of these promising developments for the Conservatives guarantee a massive majority for the party in the coming General Election. Theresa May is wisely being cautious and making it clear she takes nothing for granted. But there was nothing in the results to offer profoundly worried Labour MPs even a glimmer of hope that their party can survive as an effective political force a General Election with Jeremy Corbyn as it’s Leader. The sooner he goes, the better for Labour and for our country. Cllr Chris Whitehouse KCSG is Chairman of Westminster’s leading political consultancy, www.whitehouseconsulting.co.uk, Secretary of the Catholic Legislators’ Network, a Trustee of the Right To Life Charitable Trust, and a Member of the Isle of Wight Council (Cons. Newport West).